Unfinished projects mock while un-started projects protest their place in line. 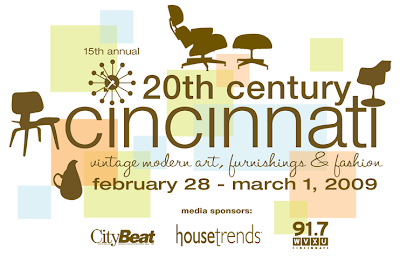 Planning weekend trip with MCM friends to 20th Century Cincinnati Feb 28th – March 1st. See us and say hi. Small challenges are hurdled in process of progression. Mid-century modern renovation hurdling resembles; Stop. Stare. Scratch head. Lottaliving forum search. Angie’s list visit. Budget check. Resume. Blog about it. Hurdles arrived in form of blizzard depositing 14” of snow on roof. Ice damming revealed vulnerabilities in rubber roof. Waiting for 50º weather to replace rubber membrane. 50º in a Midwestern February is a longingly hopeful make believe. Fortunately no more leaking has occurred since snow melt. Took snowy opportunity to complete lingering kitchen projects. Installed cover panels on both ends of cabinet run. Removed awful flush-mount light to discover huge cutout. No junction box. Fire hazards go boom. Installed junction box. Installed vintage bullet fixture to shed additional light on kitchen island work surface. Reminder: this ceiling will eventually be tongue and groove, alleviating need to finish out drywall. Been contemplating finishing element for backside of kitchen island. Found nice sheets of Birch wood. I write this while first coat dries. Now off to sand and apply second coat. Next post will feature completed installation and possible found treasures at 20th Century Cincinnati. I do not miss my rubber roof at my old house. The house I live in now used to have one originally and they had so many problems with it they brought the architect back to design a pitched roof to put on top. That's its own set of issues, but whatever. Anyway, I highly recommend Coomer Roofing. They did me right on my old rubber roof. They also were middle of the pack when it came to price. I will never go with the cheapest person ever again. NOOOoooooo! Not the feared ice dam! 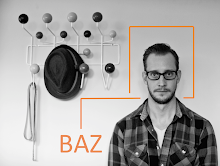 There are unwelcomed projects and then there are UNWELCOMED projects. We have a similar (looks identical sized) huge square hole in our kitchen ceiling. When we removed a hideously huge ceiling fixture we found the same issue. Almost nothing will cover the hole. We think that the house originally had a large square recessed light, and we're going to try to put one back in. I like the bullet light. That tongue and groove will be smashing! We know all about finding suprizes, none of our walls are straight or plumb. Love the blog. Cincinnati again to thrift, you should try some of the St. Vincent de Pauls(crescent springs is best one) and the Salvation Army in Norwood. Reading road also has some nice thrift stores. I have found some great things at these. By the way Amvets in Indy (not so good area) used to be awesome for finding vintage things. I found an orange long danish modern style couch there. Sadly had to let go of that one when I moved. One more thing you need to go the longest garage sale 127 starting in Covington, KY by Cincy. Its the first weekend of August. Happy hunting! Lindy, the_lin, on twitter.